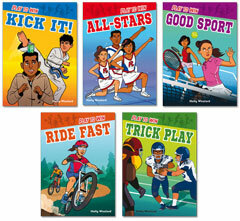 You might say sports run in the family! 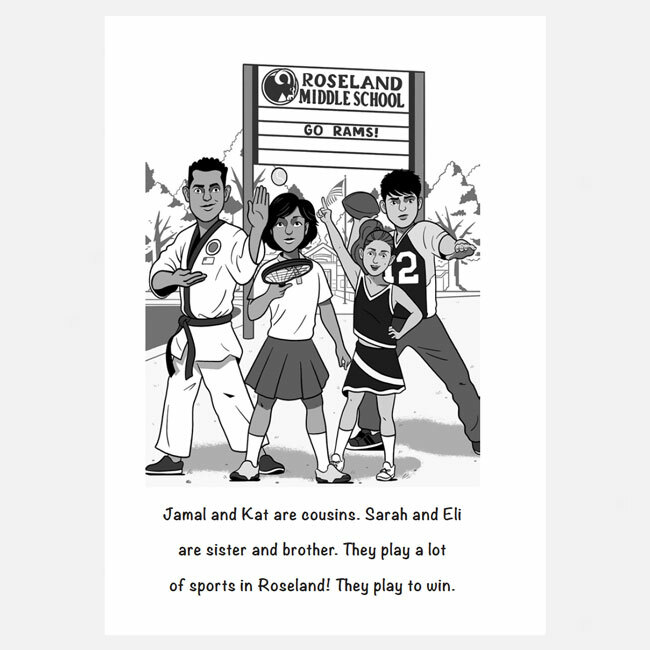 Cousins Kat and Jamal play a lot of sports, and Jamal’s mom is a coach. Brother and sister Eli and Sarah also love sports, and their dad is a coach. 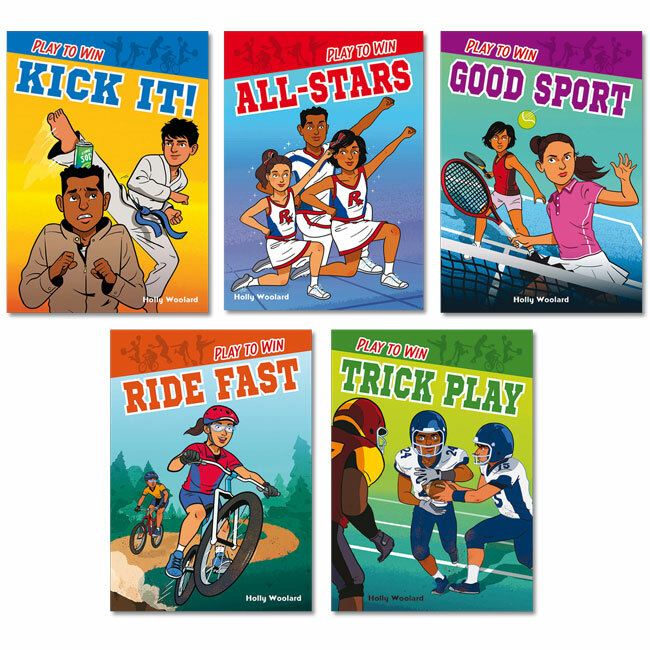 In this series, readers will “play along” with the four friends as they compete in tae kwon do, tennis, football, mountain biking, and cheerleading. 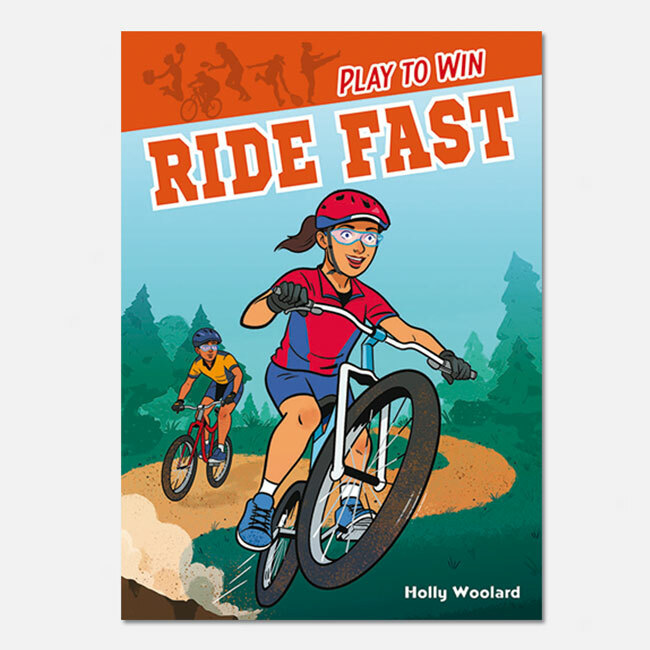 If your students liked the Play Hard series (level 1 hi-lo), they’ll like the Play to Win series. 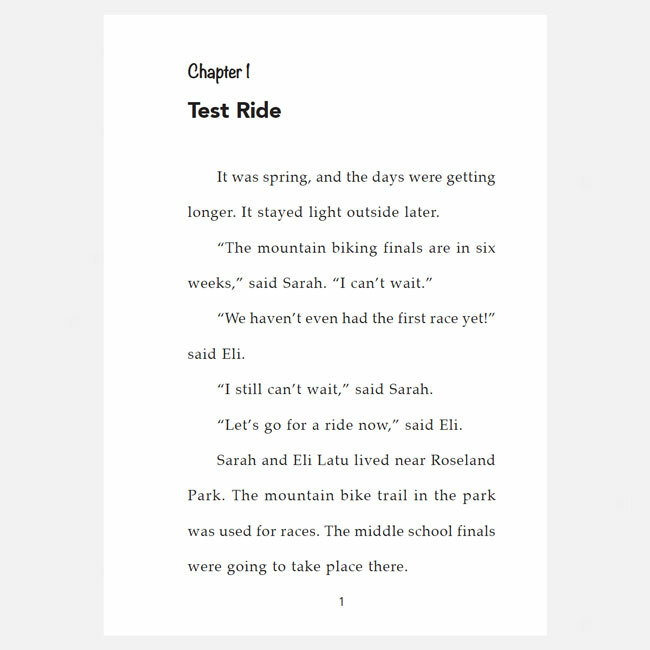 It’s Sarah’s first year on the middle-school mountain biking team. So why won’t she listen to advice from the others? Kat and Sarah are on a cheer team. Sarah wants Jamal to join the team. Kat—and Jamal—are not so sure. Tennis is fun, right? Kat and Sarah think so at first. They quickly find out that being a good sport is harder than they thought! Jamal and Eli are on a football team together for the first time. Can they work together to help their team win a championship? Kat joins Eli and Sarah at the tae kwon do center. Jamal isn’t interested—until he sees tae kwon do in action.